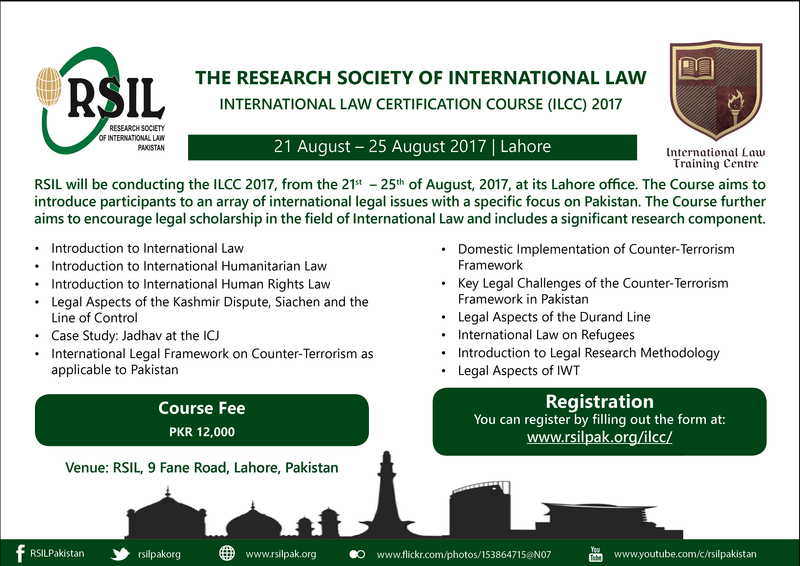 The Research Society of International Law (RSIL) Lahore is holding the International Law Certification Course, from the 21st to the 25th of August, 2017. This course is open to students and graduates alike, and the registration fee is PKR 12,000 (which includes lunch and refreshments). This is a great opportunity for budding and aspiring lawyers to not just add value to their résumés, but also to broaden their horizons.